This jacket is inspired from the legendary Hollywood actor Bruce Willis who showed up with this jacket in science fiction and action movie Surrogates. Bruce will have played the character of Tom Greer who was an FBI agent and discovers a vast conspiracy in the perfect society. 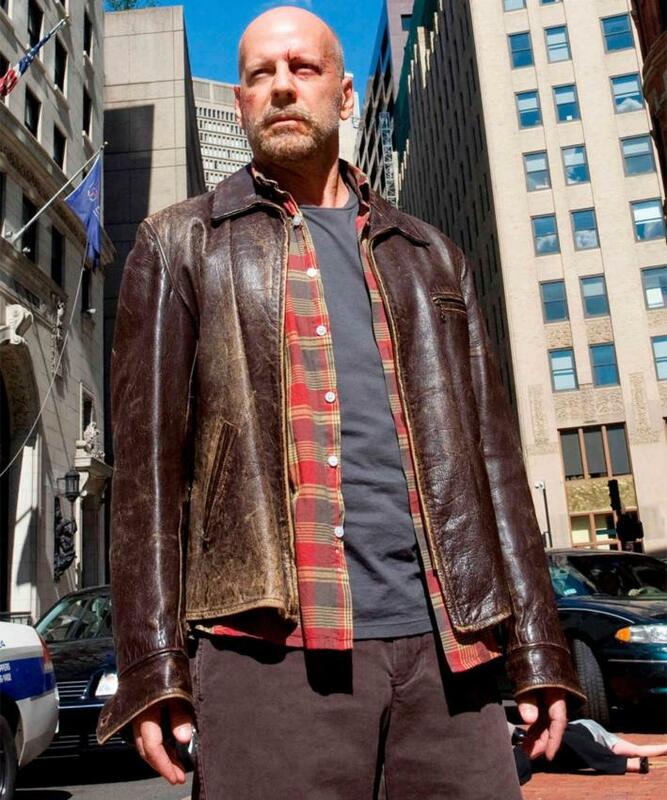 William jacket has made the same featured jacket which is shown in Surrogates. It is made with quality genuine leather so in other words if you are buying this jacket then it could be part of your favorite wearing for a long time period. Moreover, it’s interior has viscose lining which can save you in cold temperature and give you more soft feeling in cloudy weather so you could enjoy rain with cold air. Surrogates Tom Greer destress leather jacket has brown color and shirt style collar which give it a little casual look to this jacket and allow you to wear with multiple styles and color scheme. Surrogates Tom Greer Distressed Brown Jacket has full-length sleeves which are attached with snap tab cuffs which allow you to keep them open or close them as per your desire. Bruce Willis distressed brown leather jacket has zip fastening front and zipper pockets over the chest and waist area.